0) Ohio is nicknamed the “Buckeye State” (redundant, but included for completeness). 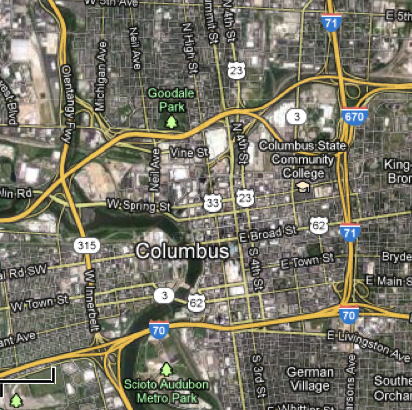 2) The capital of Ohio is Columbus. 7) It borders Pennsylvania, Indiana, Michigan, Kentucky and West Virginia. 9) Miami University is in Ohio, as opposed to the University of Miami in Florida. This causes much confusion. 11) Interstates 90, 80 and 70 all run through Ohio. 12) No Republican has ever been elected President (of the USA) without winning Ohio. 13) The Cincinnati Reds were the first professional baseball team (which begs the question, who did they play against?). 14) The Ohio state quarter has an astronaut and the Wright Brothers' plane on it (as the Wright Brothers and a few astronauts are from the state). 15) William Howard Taft, the “fattest president”, is from Ohio. 16) The Buckeye is a tree, actually the state tree of Ohio. Please feel free to contribute your own Ohio facts in the “comments” section!